Automated Rental Management software makes contract entry simple and intuitive by streamlining the entire processes. ARM eliminates the need to rely on manual, error-prone duplicate data entry from your standalone rental system into your accounting system. ARM Software lets you create a contract from a quote and accept payment while automatically posting to your general ledger and sending a picking sheet to your warehouse employees. You can also copy a new contract from another contract or invoice to automatically import key customer data such as billing/shipping address as well as check credit while entering data. You can set default rental and sales billing methods and define as many billing methods and cycles as you need, including customer specific pricing. ARM software’s contract management capabilities integrate your sales, finance and fulfillment teams—improving quote accuracy, eliminating billing errors, strengthening revenue recognition processes and driving fulfillment accuracy and efficiency. Manage every step of the customer lifecycle from quote-to-cash with an integrated contracts and financials. Define customer-specific pricing and default billing methods as wells a show cumulative billings for each customer. Manage all quotes, contracts and orders with a centralized system and integrated accounting processes. 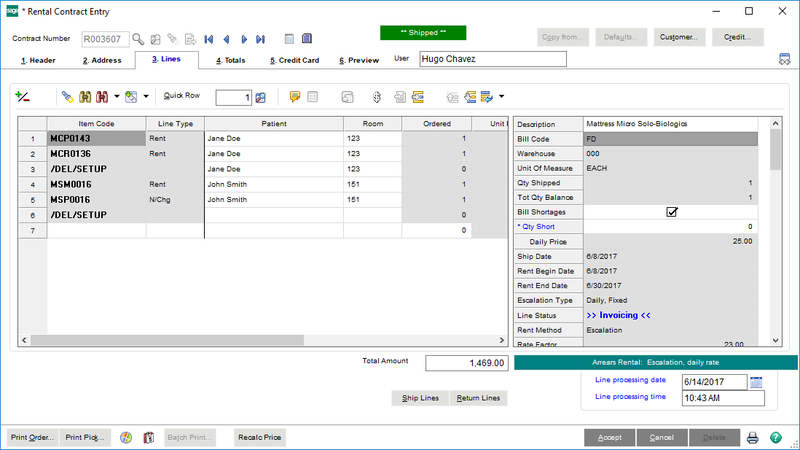 Automatically generate and dispatch invoices at recurring intervals on time and set custom billing methods.